The bill would replace some of Sound Transit’s lost revenue by raiding a fund that had been set aside for education in the Puget Sound region. The Washington state Senate, voting in the wee hours of Thursday morning, passed a bill that would cut car-tab taxes that are used to fund light rail in the Puget Sound region, but would offset some of the lost revenue by raiding a $500 million fund that had been set aside for education programs in the region. 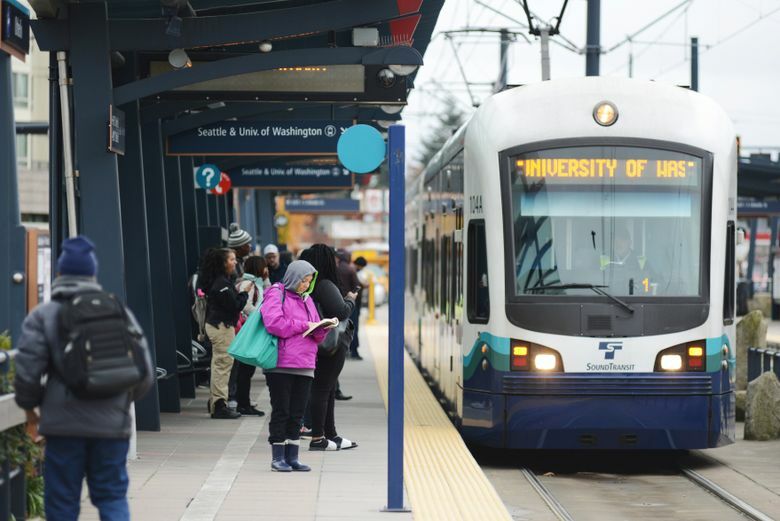 The bill still must be reconciled with the state House, which passed a car-tab tax-cut bill in January but opted not to make up the revenue that Sound Transit would lose as it works to expand light rail from Tacoma to Everett. Supporters of the Senate bill said it achieves a dual goal: responding to constituent uproar about increased car tabs while also preserving Sound Transit’s ability to complete its projects. The bill passed 30-14, with bipartisan support and opposition. Both the House and Senate bills attempt to fix an issue that the Legislature has been grappling with for more than a year, since new car-tab taxes went into effect: Sound Transit’s system of estimating a car’s value — which was inherited from and approved by the Legislature — inflates the value of newer cars, resulting in higher taxes. The valuation system is not new, but it gained attention after the car-tab tax rate more than tripled following voter approval of Sound Transit 3. Both the Senate bill (SB 5955) and the House bill (HB 2201) would switch to a more-accurate valuation formula, one that more closely matches Kelley Blue Book values. The Senate bill provides a credit to reimburse taxpayers who paid car-tab taxes last year and this year based on the inflated formula. Sound Transit says the change would cost $780 million in direct lost revenue over the next 11 years, as it pushes to expand light-rail and bus service. But, the agency says it would respond to that loss by issuing more debt, sooner than it would have otherwise, and eventually issuing yet more debt to pay back the initial debt. The agency estimates that the full cost of switching the valuation formula would be $2.3 billion through 2041. Sound Transit has lobbied against the car-tab tax cut, arguing that any cuts to the agency’s revenue must be offset. The Senate bill attempts to backfill some of that lost revenue by canceling a special 3.25 percent sales tax on Sound Transit construction projects. That money, or at least the first $518 million of it, had been designated for education programs in King, Snohomish and Pierce counties. King County, which was expecting $318 million over the next 15 years, was considering using the money to build and run more early-learning centers. Even with the $518 million, the bill would still cost Sound Transit $1.2 billion, spokesman Geoff Patrick said. That’s because the $780 million in lost car-tab revenue would begin immediately, while the $518 million in saved revenue wouldn’t become concrete until Sound Transit 3 construction projects begin — years down the road. The early loss of revenue will still cause Sound Transit to issue more debt than it otherwise would have, Patrick said.